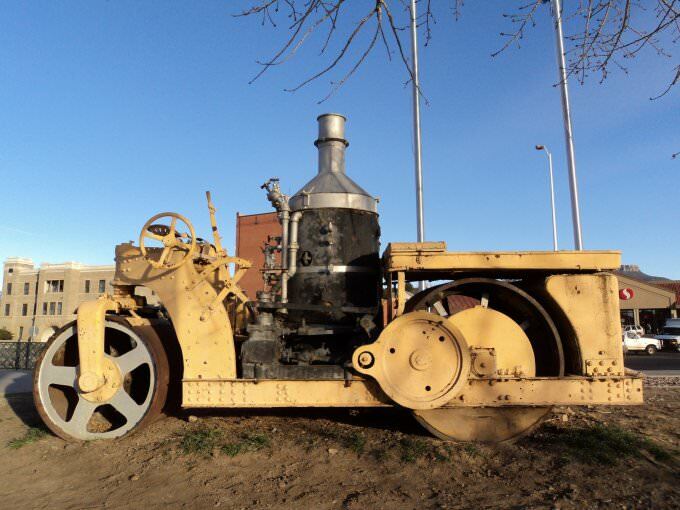 While touring around the town of Trinidad, CO, we found this antique steam roller in a park. There was no information about it, and no readily identifiable markings on it, either. 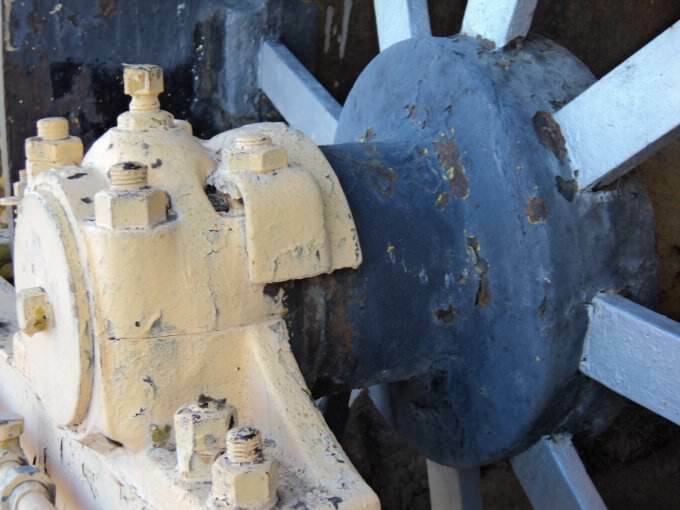 The steering gear on this steam roller was very fine, giving the user accurate control. 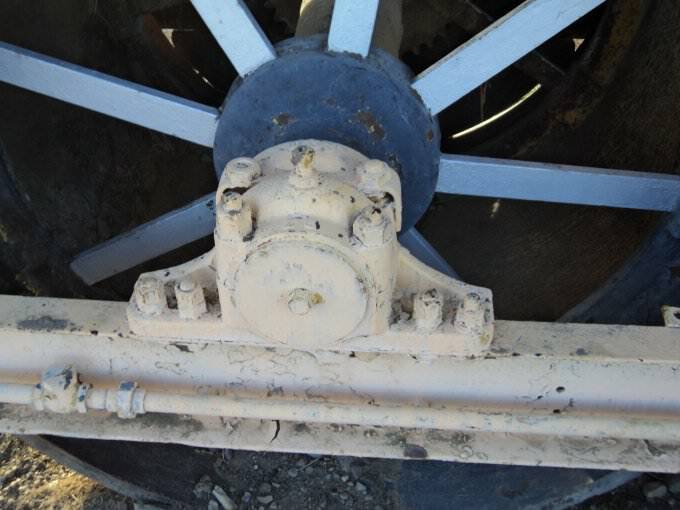 The steering was attached to the rear wheel with a worm gear, and the operator turned a wheel under the right side of his seat to turn the steering gear. 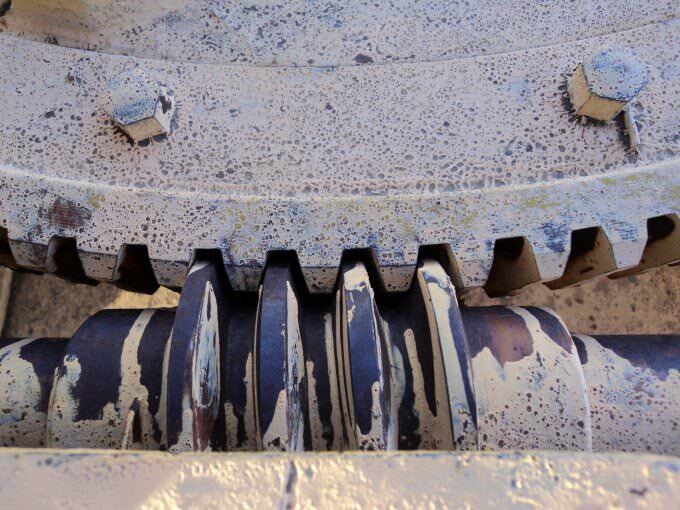 The fine gearing, combined with an experienced driver could create very tight direction control. 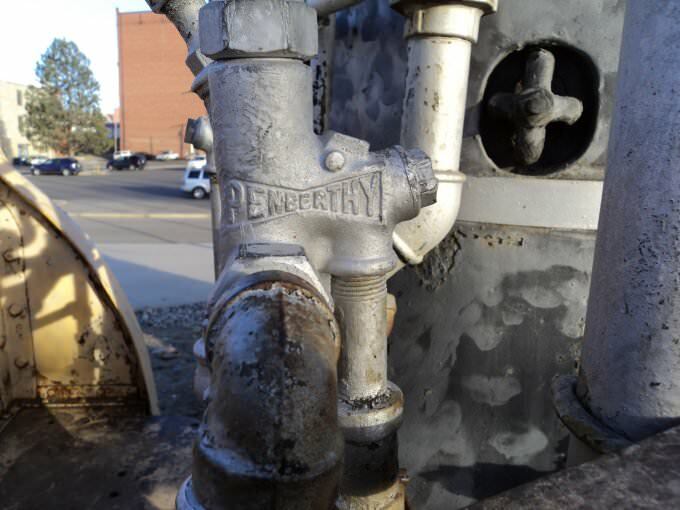 This plumbing had the only markings on the entire steam roller. 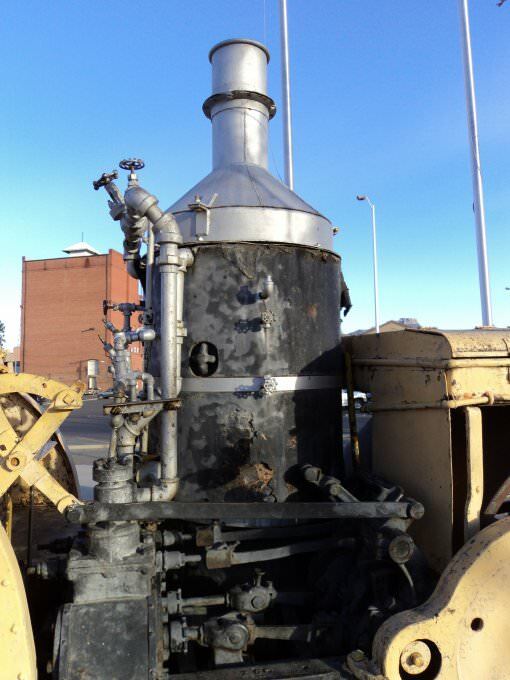 I hope you enjoyed this post- if you know anything about this steam roller, I’d like to know more- please comment!